Modern cottage style living in a beautifully updated three bedroom home. This home has cathedral wooden ceilings.The open floor plan boasts a farm house sink in kitchen with light gray granite counter tops and tile back splash. Large upstairs loft perfect for media room or studio. Relax in the tropical landscaped fenced yard with pergola canopy for outdoor dining. Yard is fenced and private, great for visiting around a fire pit. Outdoor shower for rinsing after the beach. Wrap around porch surrounded by landscaping for a feeling of serenity. 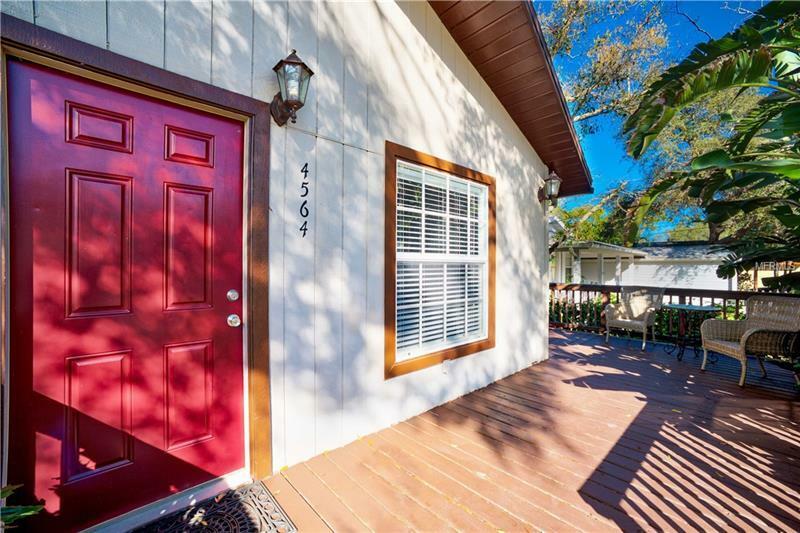 You will feel as if you are living in the country while living in the heart of Sarasota with dining, night life and beaches. Only 10 miles to number one rated beach, Siesta Key.